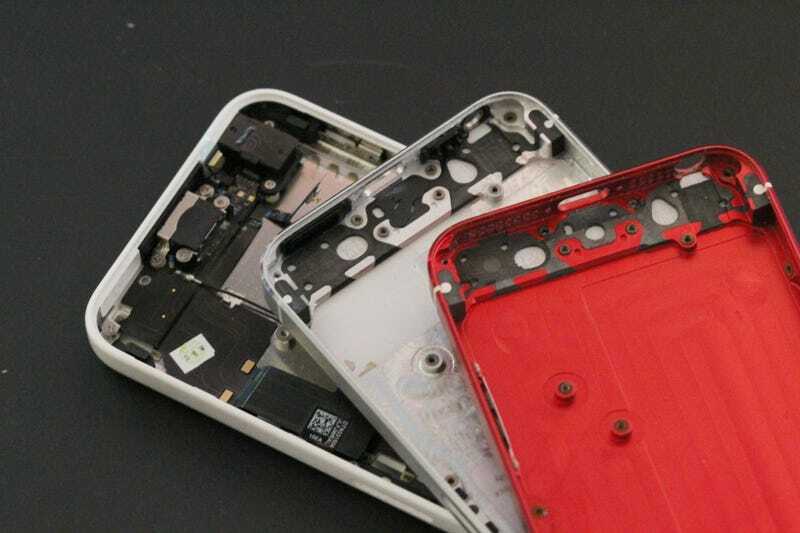 Kinja user lotzosushi has uploaded a few pictures from a larger Flickr collection of what he claims are iPhone 5c parts. But while there's nothing in the budget iPhones we haven't seen before, there is a red iPhone 5 casing that got us dreaming of a red iPhone 5S future. While there have been plenty of rumors surrounding a new gold iPhone, and a few more dubious ones saying a graphite color scheme is in the works, this is the first time a red iPhone 5S has reared its head. It's a tantalizing color option—Apple's Product RED offerings have always had a special appeal—but it's sadly inconsistent with other iPhone 5S casings we've seen before. Specifically, it lacks the dual-LED flash we've seen from multiple gold iPhone components leaks. And lotzosushi himself has confirmed that it's a plain ol' iPhone 5.